Explore beauty, travel and family life as I share the best BITS and pieces! This post may contain affiliate links. If you click on an affiliate link, I obtain a small commission from qualifying purchases. I appreciate your support in purchasing recommended products through my links. You wouldn’t believe the number of beauty products I’ve tested out over the years. I’m also super picky about what I put on my face - a bout of adult acne will do that to a girl. Because of this, I’ve become a go-to for friends on what to use when they have XYZ problem or are looking for something extra glam, and I absolutely love helping them out. It's rewarding to hear that the product or service I recommended worked perfectly! Each week, I'm going to feature my current beauty faves. This takes the guess work out of product testing for you, giving you the right product from the start (instead of a bunch of unused bottles). These are my ride or die picks - ones that I use ’til the very last drop and stock up on so I never run out of these magical unicorn products. I also look for the usuals - no parabans, cruelty free, etc. They aren’t deal breakers for me though. Brands are constantly evolving to better suit our growing demands as consumers, so while it might not exclude everything, that doesn’t mean it won’t soon change. This week, I want to talk about two BIT Beauty Faves that are both daily staples. One is a new find and one is an oldie but goody. I use both of these on the regular because 1) I’m way too lazy to put on a full face of makeup most mornings, and 2) what’s the point of keeping my skin looking so beautiful if I’m only going to cover it up with foundation? But for real, this pair packs a punch and I actually don’t need much more covering up once I pop these two beauties on my face. You might remember Dr. Jart+ from their stateside BB launch back in 2012, or maybe you know them from the Shake & Shot rubber masks all over Instagram. But the real gem is their Ceramidin Day Tint. 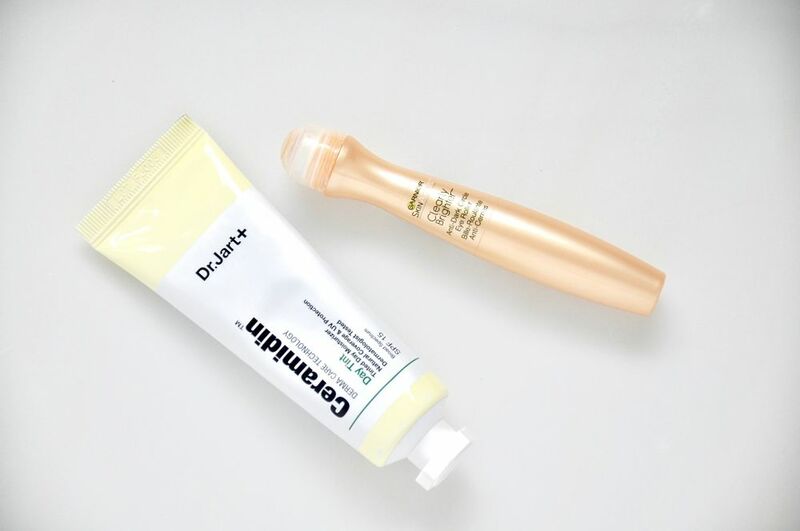 The Ceramidin Day Tint from Dr. Jart+ is super hydrating, has SPF 15, and provides just enough coverage to blur imperfections. And it’s one of the few tinted moisturizers that doesn’t turn me pink or bronze. According to the brand, this “ceramide-based” formula uses the skins natural essential lipids (ceramides) to create and restore the skin’s own moisture barrier. My con? This product is only fabulous if you have light to medium-light skin tone. So if you are any darker than that, I highly recommend my all-time BB fave, Maybelline Dream Fresh BB Balm. The Garnier Clearly Brighter Eye Roller is a miracle roller. I use it religiously in the mornings to brighten up my eyes when I don’t want to wear makeup or am wearing very little. No joke, I stash these everywhere - my bathroom, my purse, my travel carry-on, my gym bag - so it’s always within reach. This stuff is that darn good. 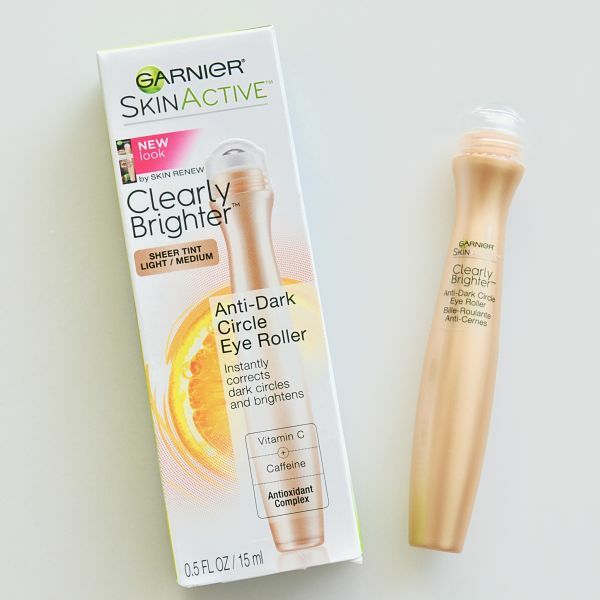 It’s one of the few products that actually does what the brand claims - “refreshes and wakes up the eye area and rolls away dark circles.” Way to go Garnier! The cons? While super refreshing, the roller doesn’t actually blend in the product. I end up using my finger to gently pat the concealer into my skin. And, the brand discontinued the medium/deep shade. Since they originally carried the shade, I’m hopeful they are just reworking the formula so it better suits darker skin tones.